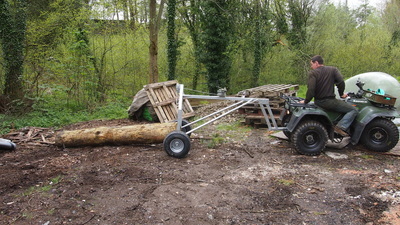 ​Our Log arch first came about because we needed to move a large log from a customers back garden. 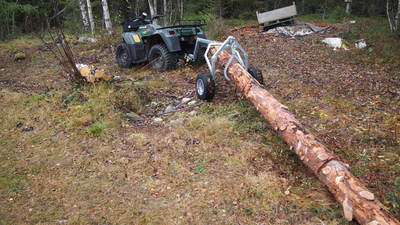 The customer offered us use of his lawn tractor to help move the log so we designed the first log arch and extracted a 10 foot long 500kg log with a lawn tractor ! 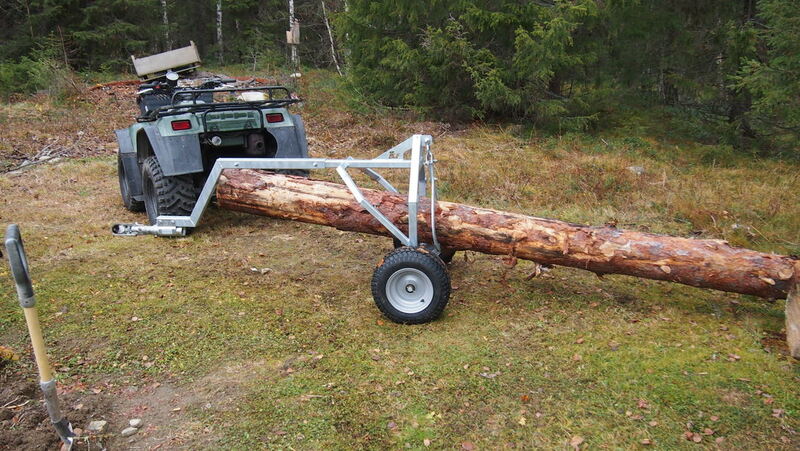 Once you have used the Logster Log Arch, you will wonder how you ever managed without one. 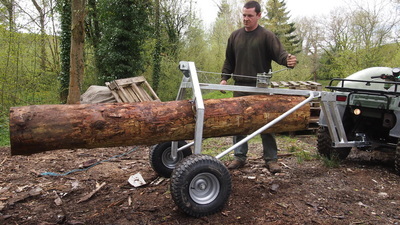 The logster log arch is made from sturdy box section. 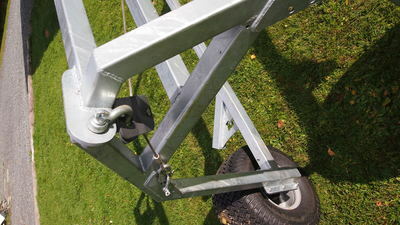 It is braced and gussetted to ensure it is up to the job. 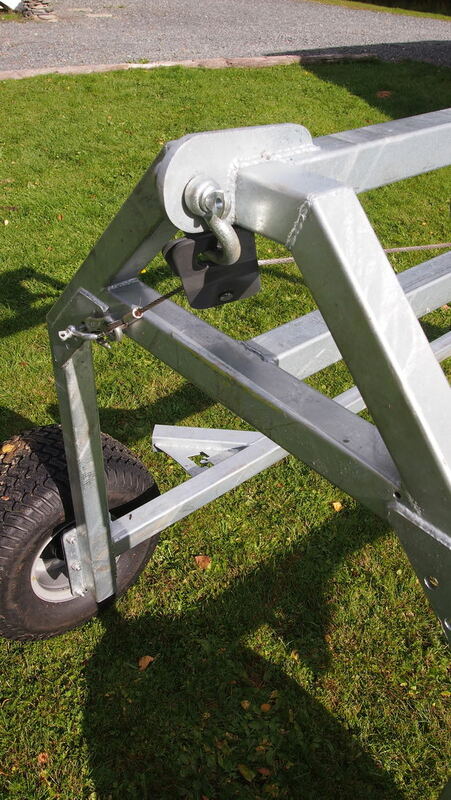 After it is made, we send it to be Hot Dip Galvanised which gives many years of rust protection inside and out. 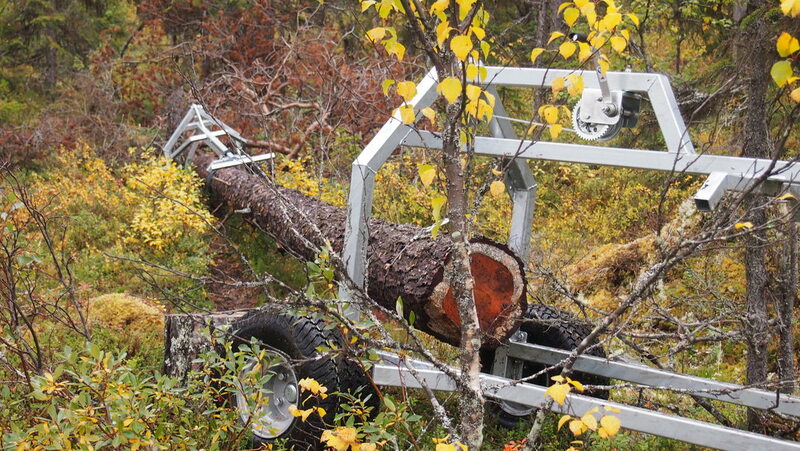 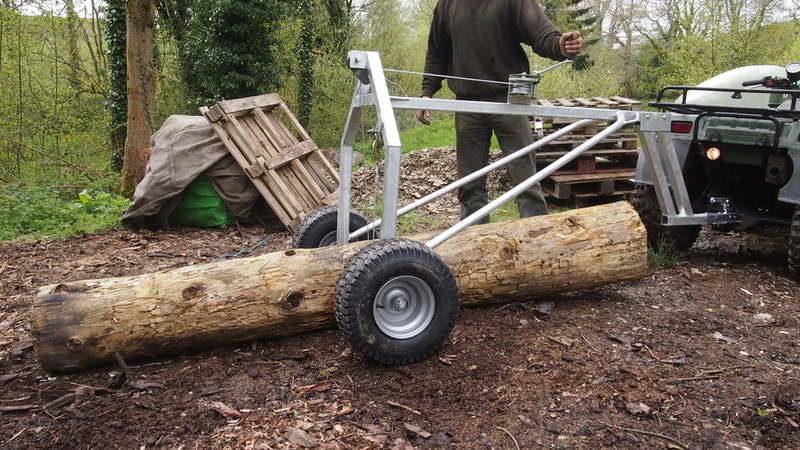 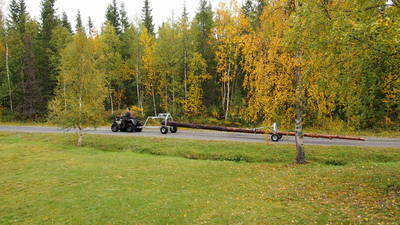 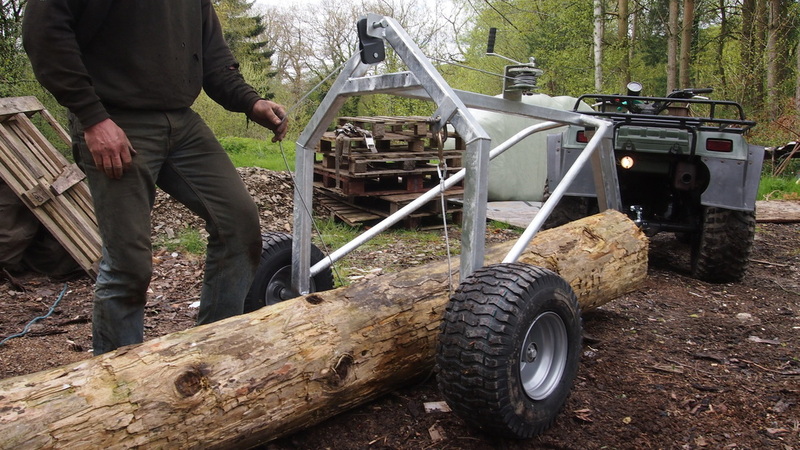 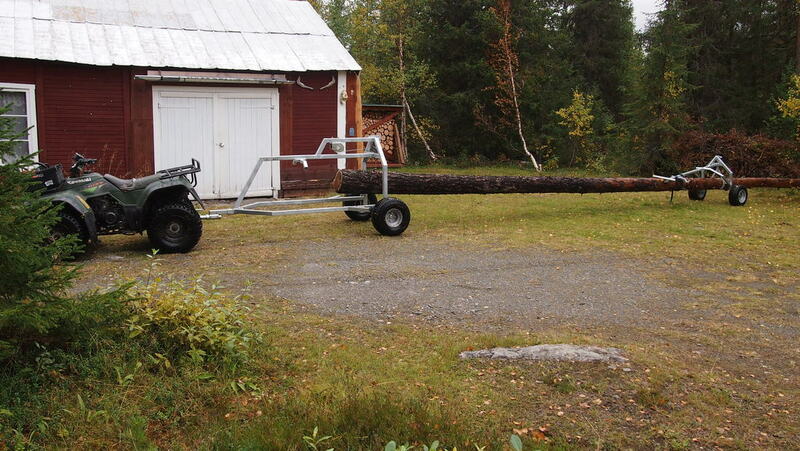 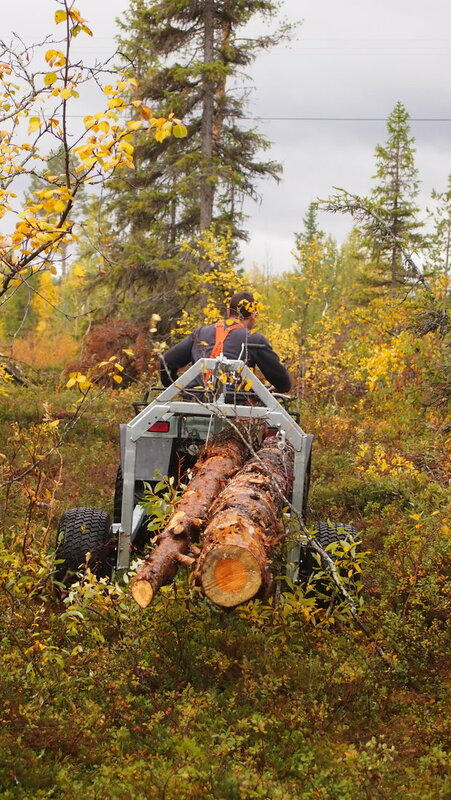 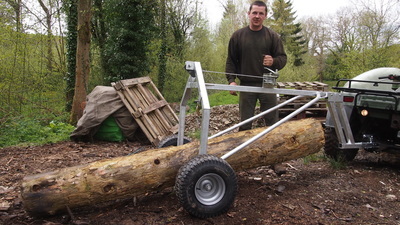 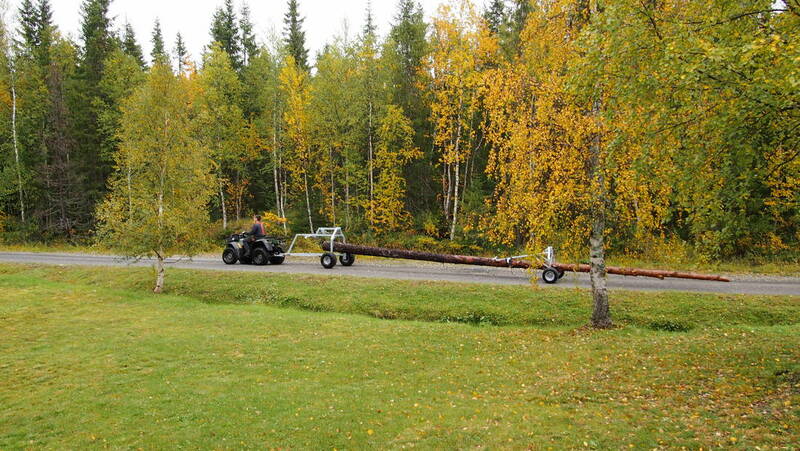 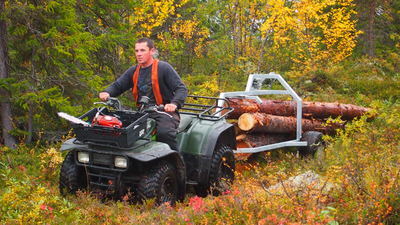 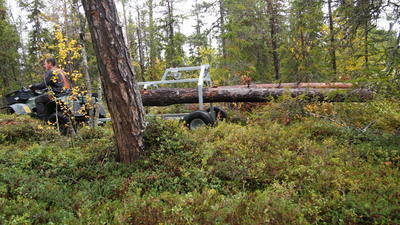 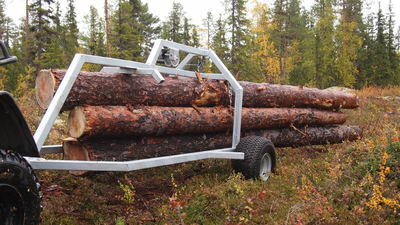 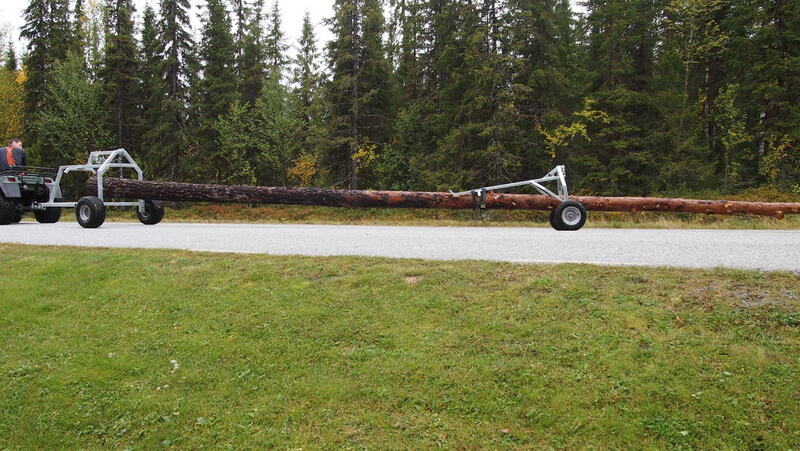 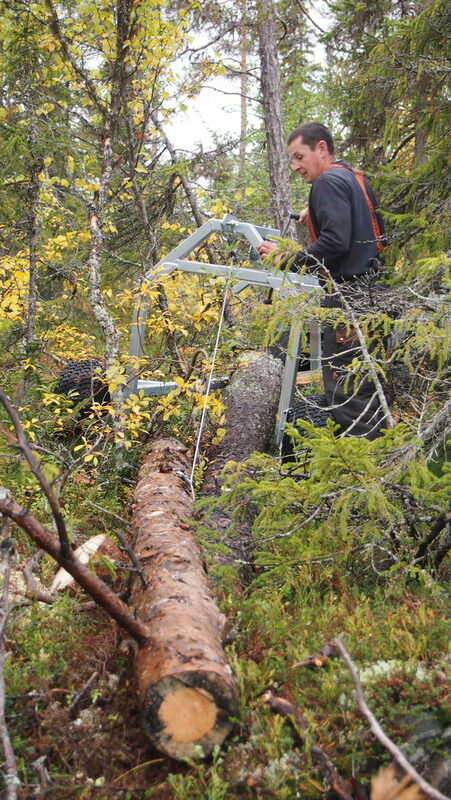 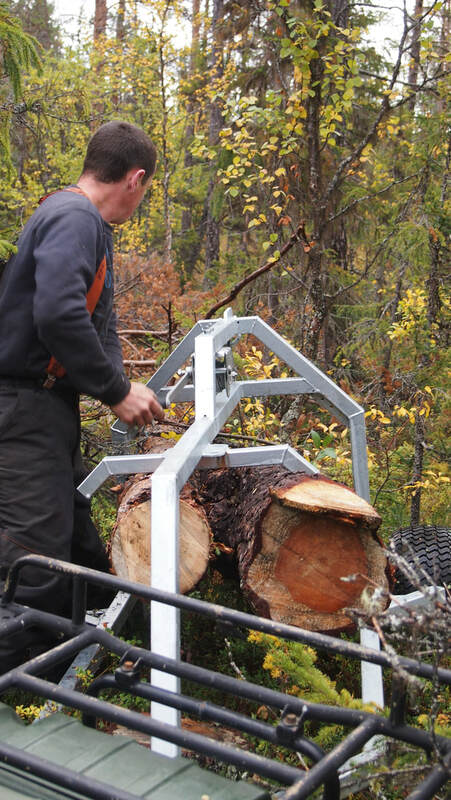 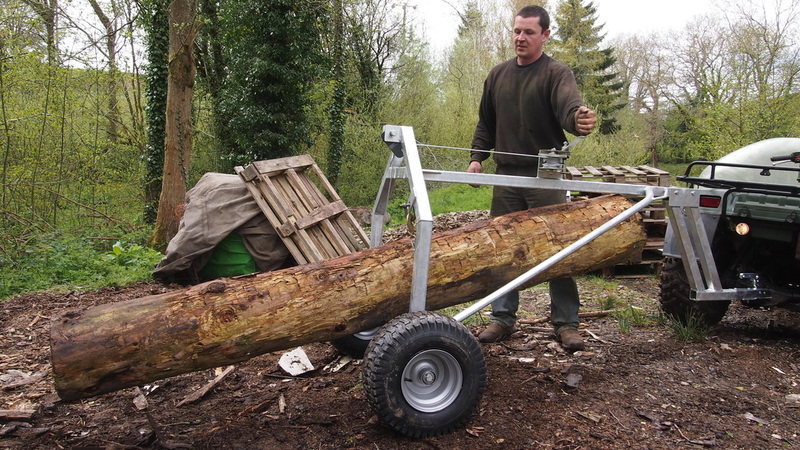 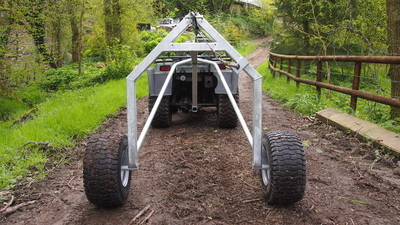 Our large log arches all come with a high quality winch. 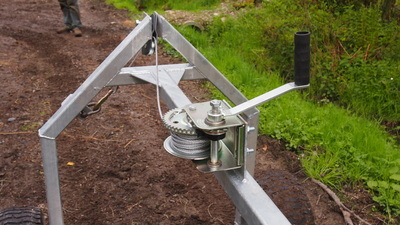 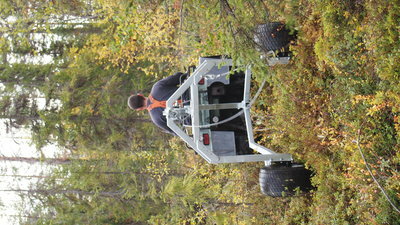 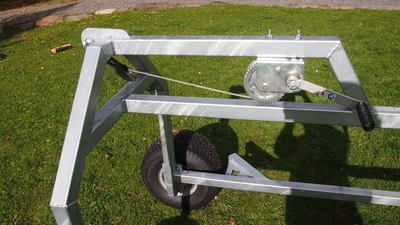 We use a Dutton Lainson double braked winch which is made in the USA and has a 5 year guarantee. 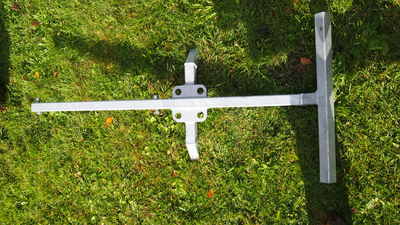 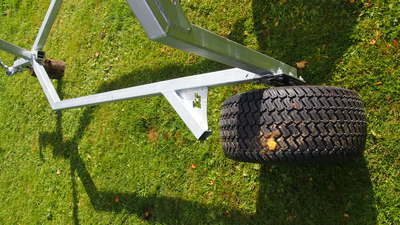 The drawbar is removable and has a 50mm coupling as standard. 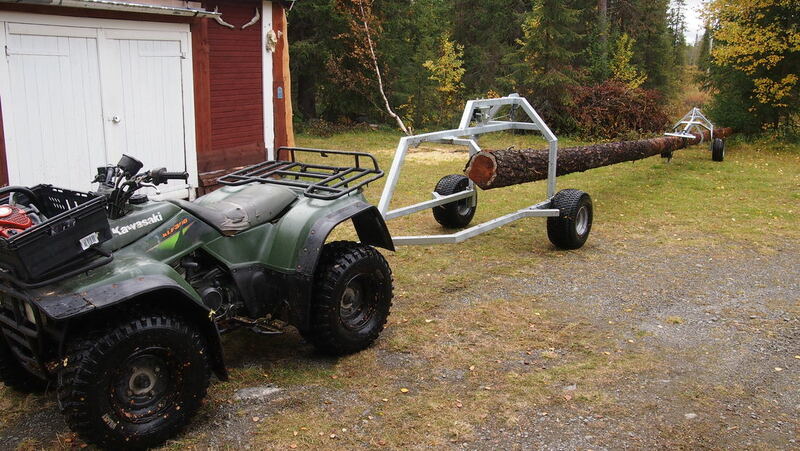 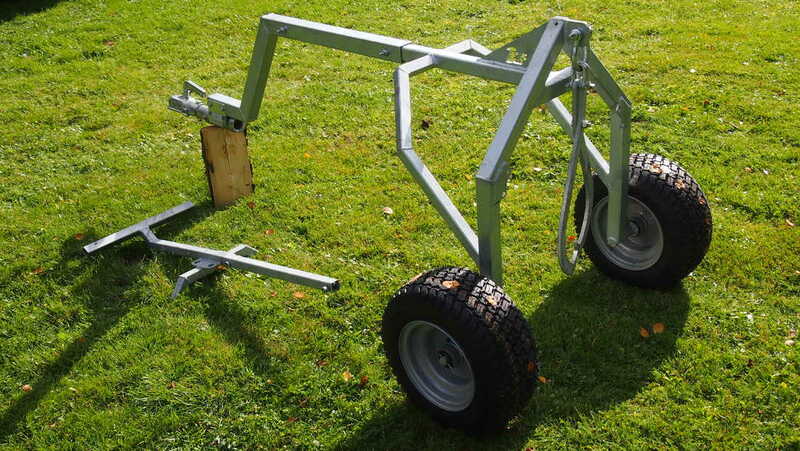 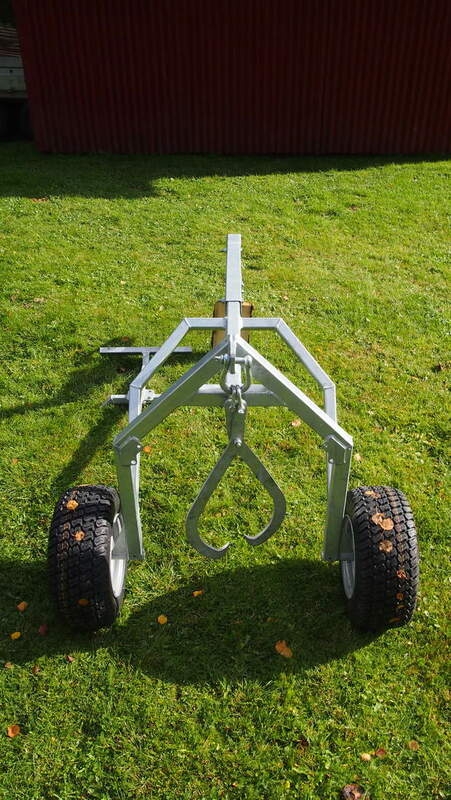 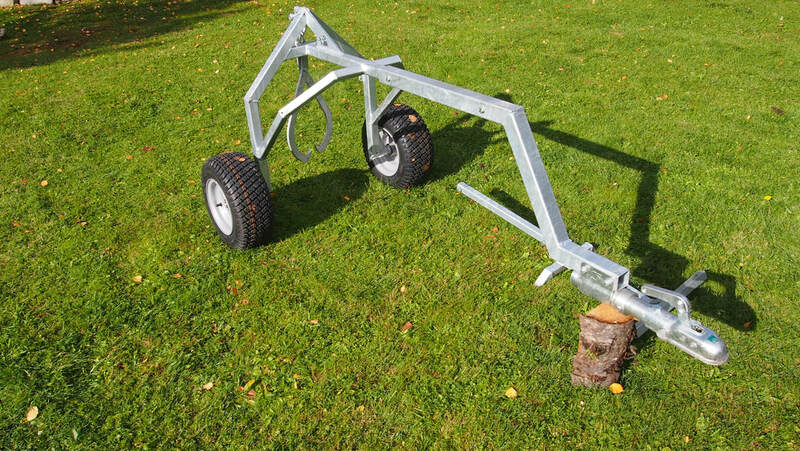 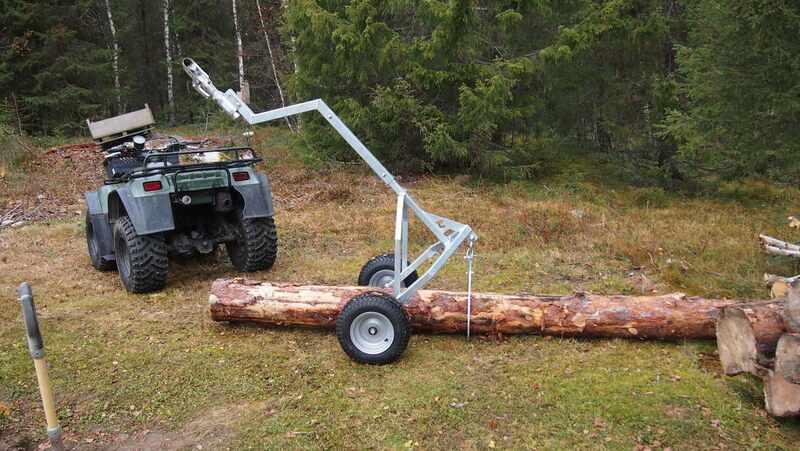 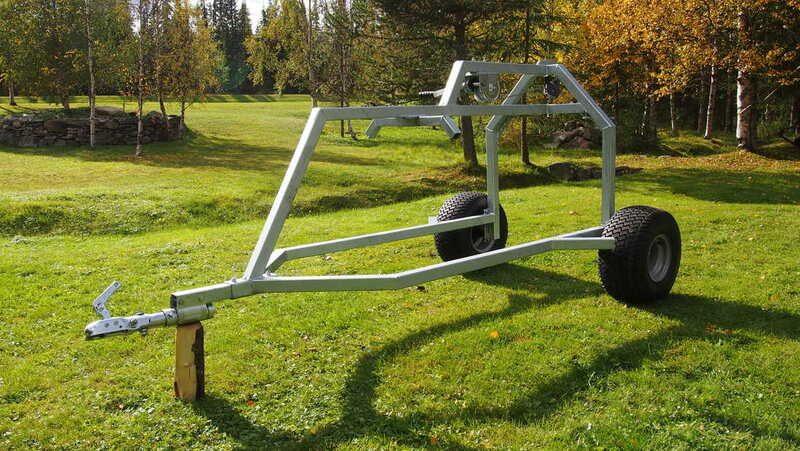 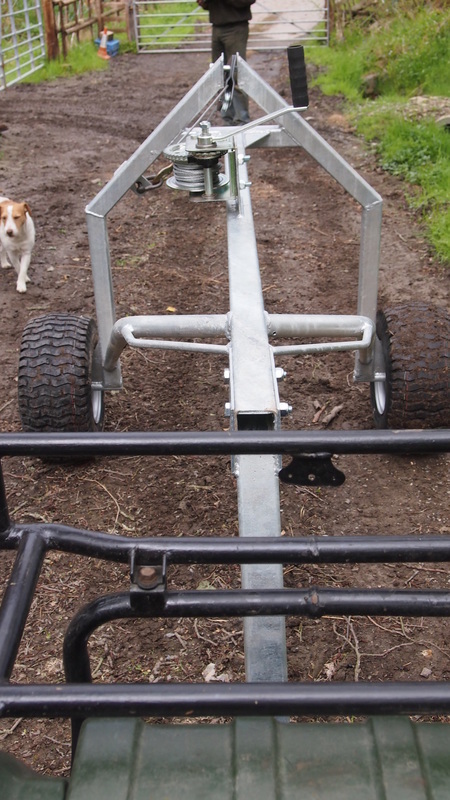 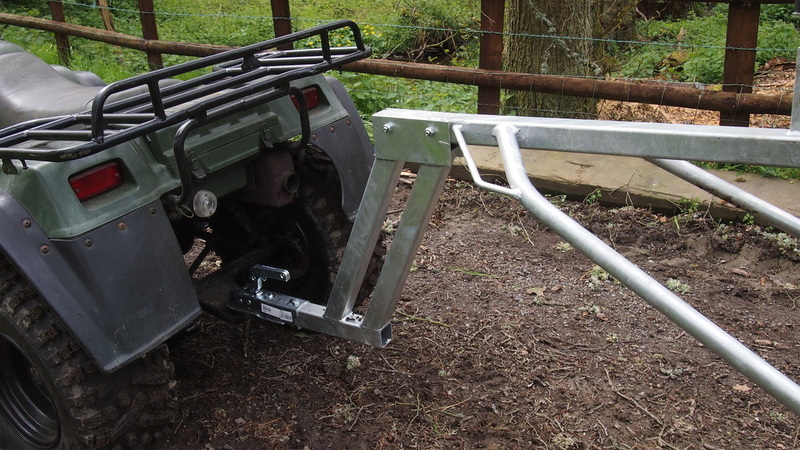 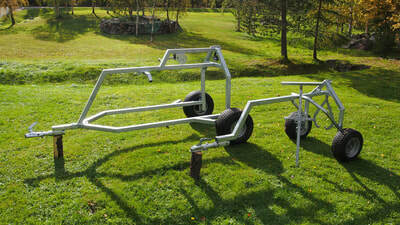 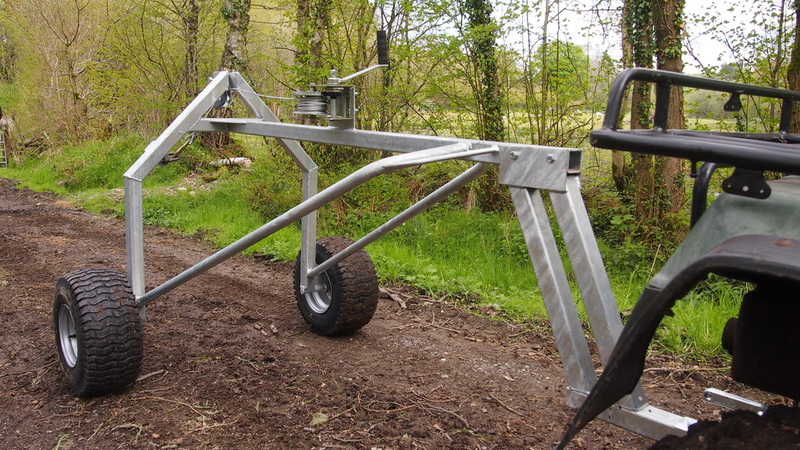 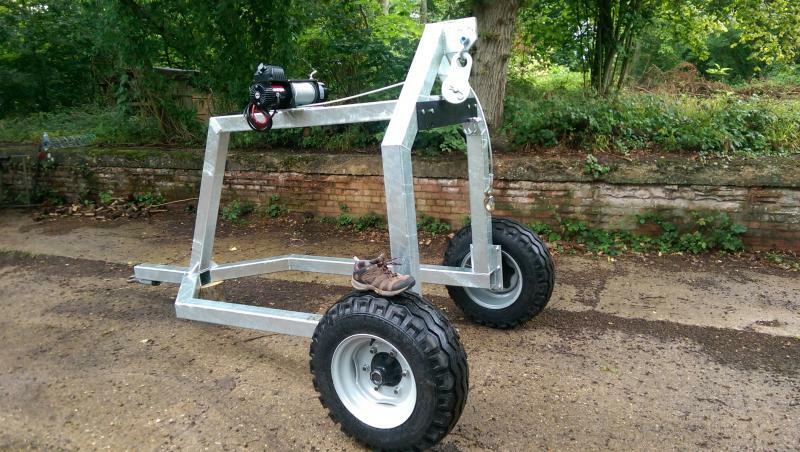 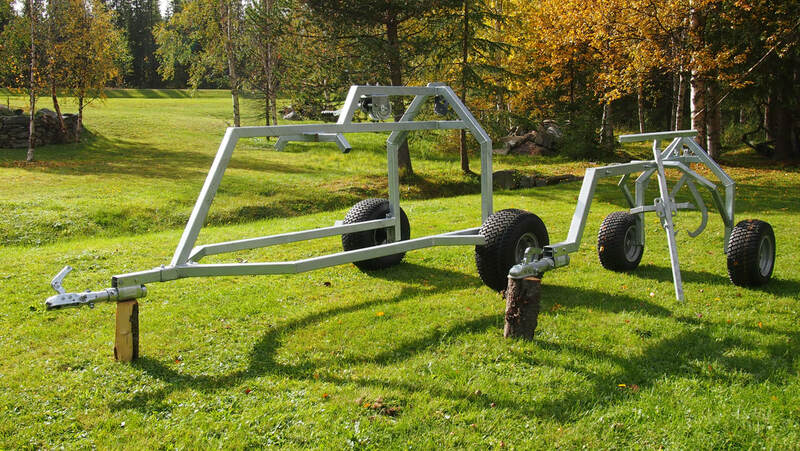 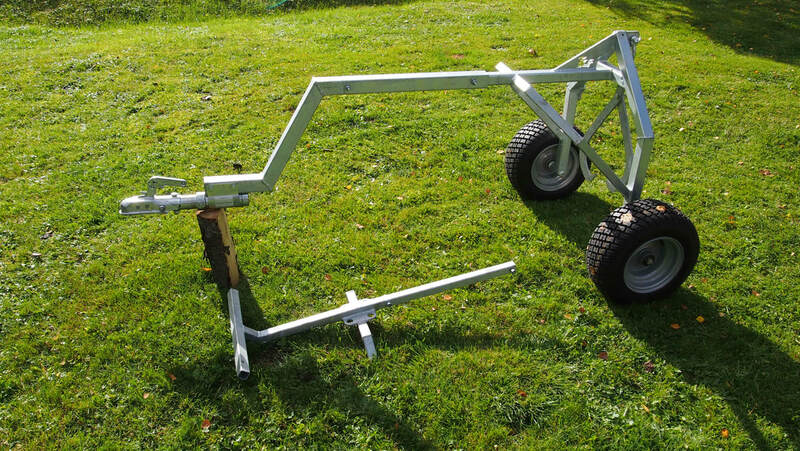 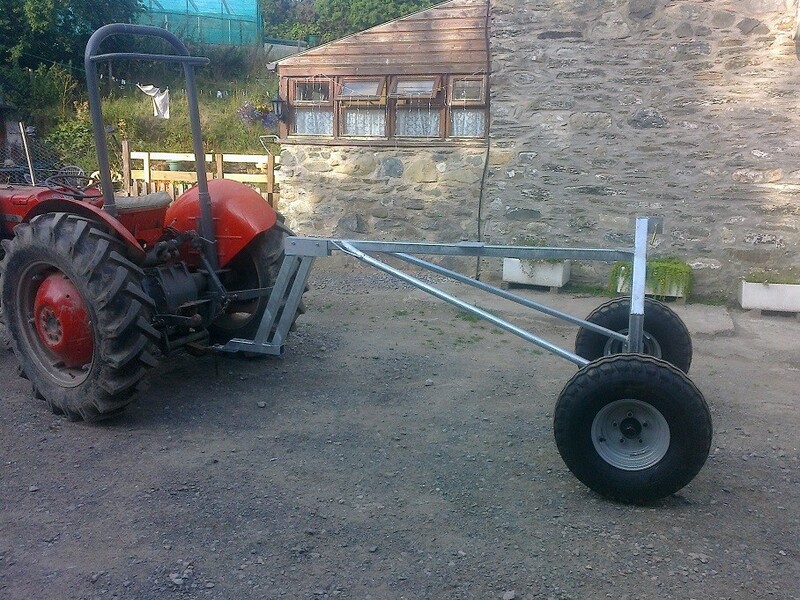 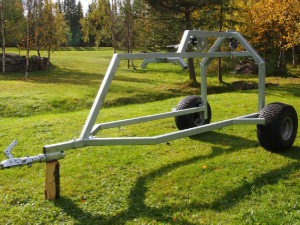 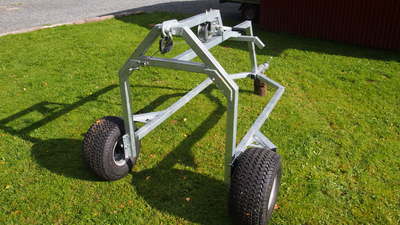 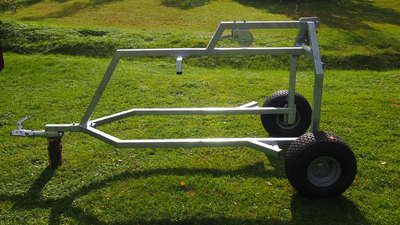 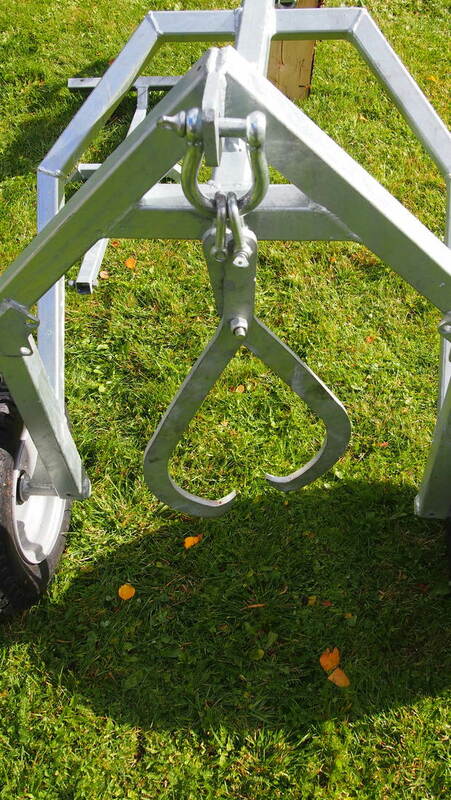 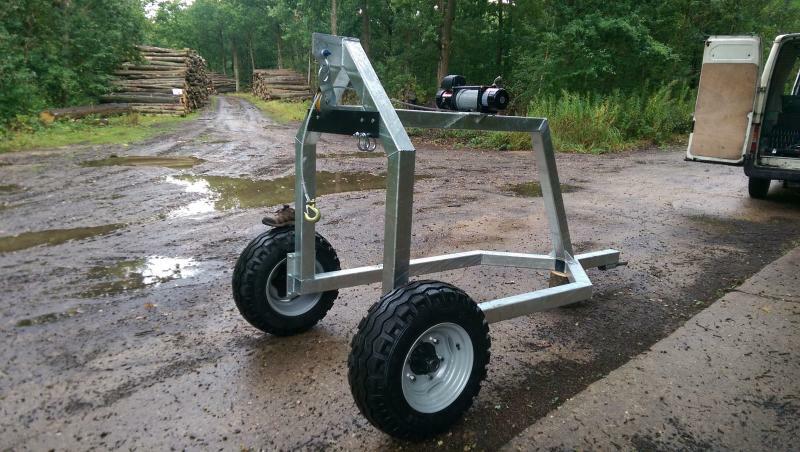 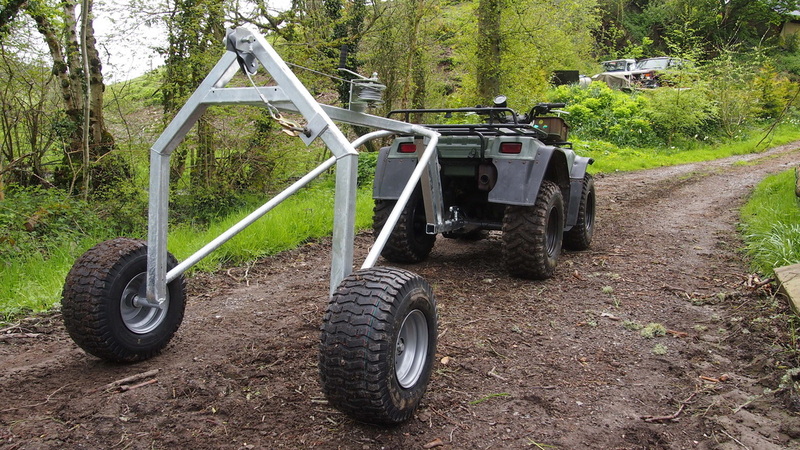 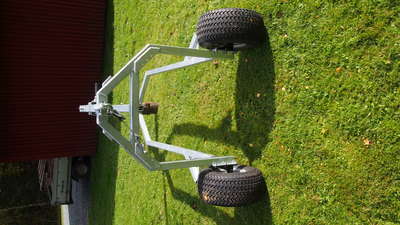 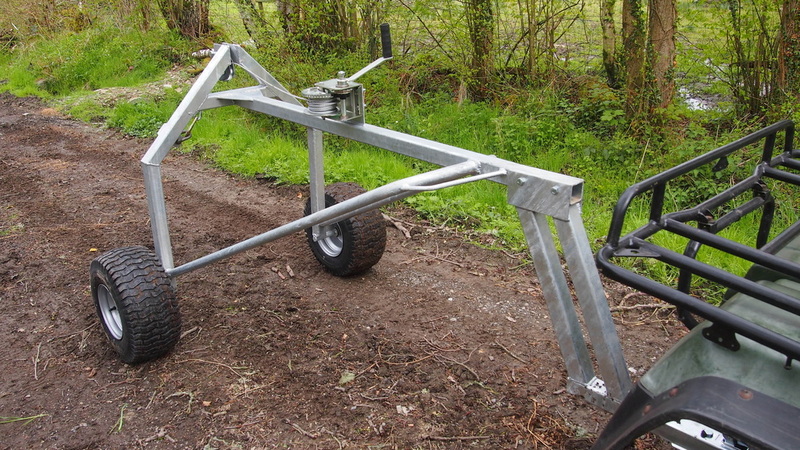 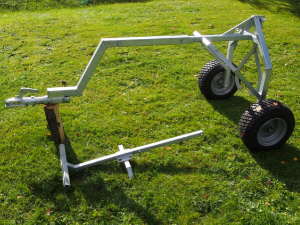 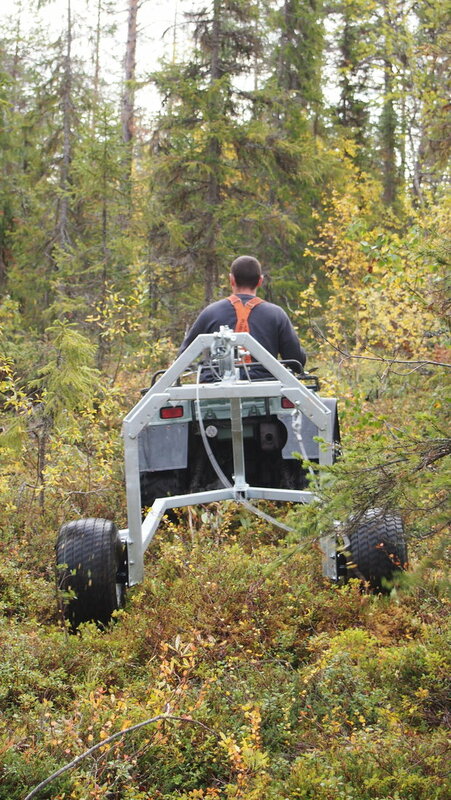 You can upgrade to a swivel hitch, or a ring hitch which can also be used for winching. 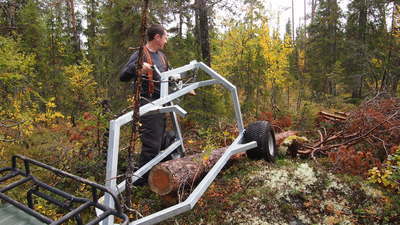 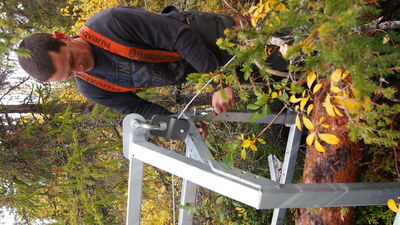 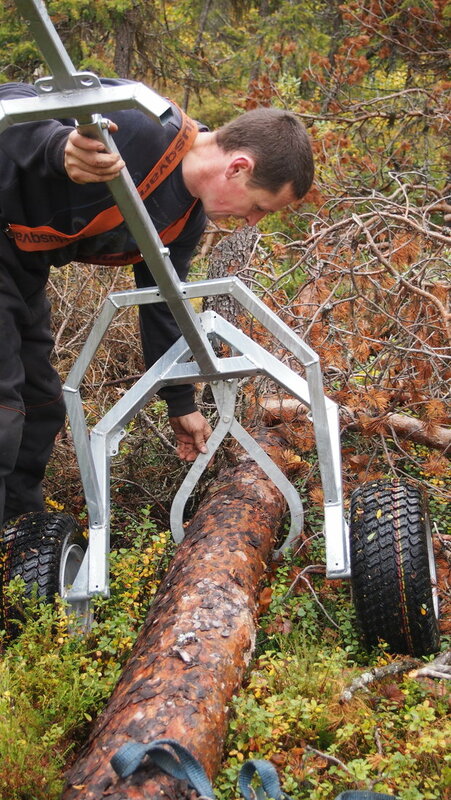 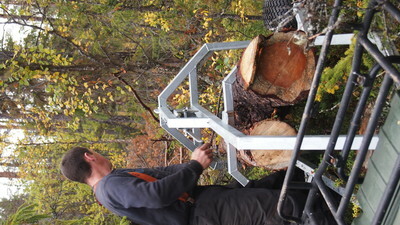 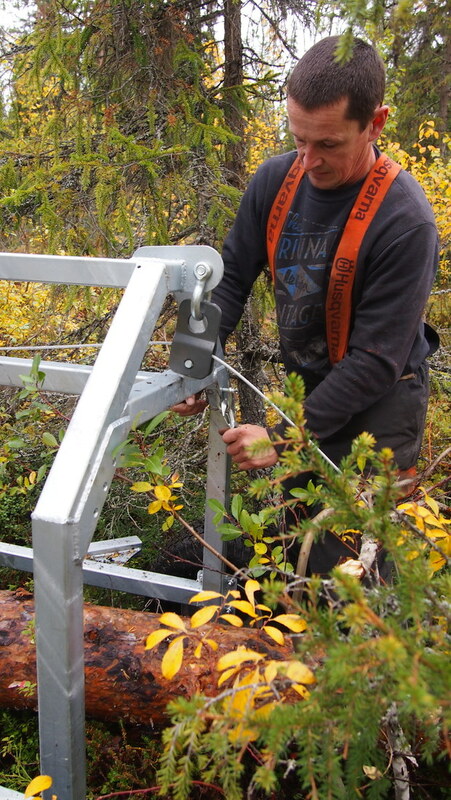 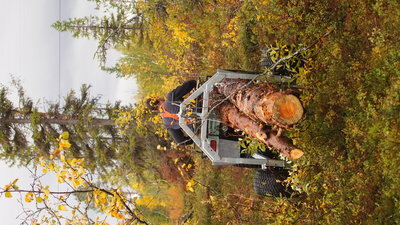 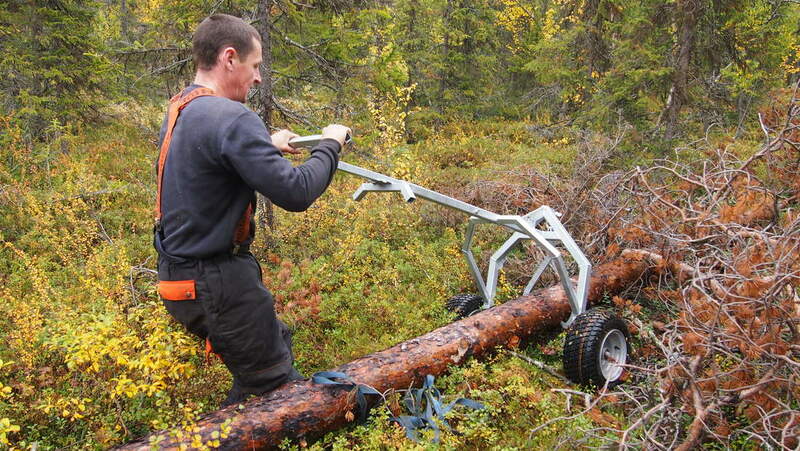 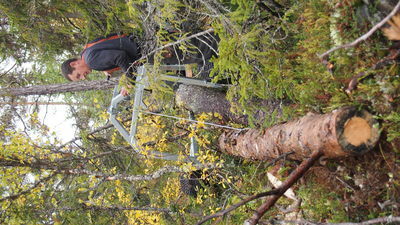 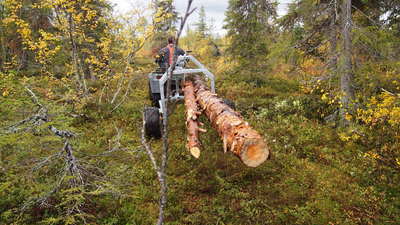 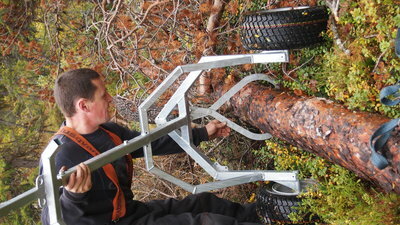 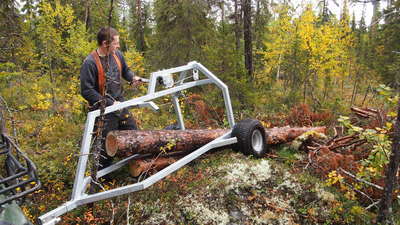 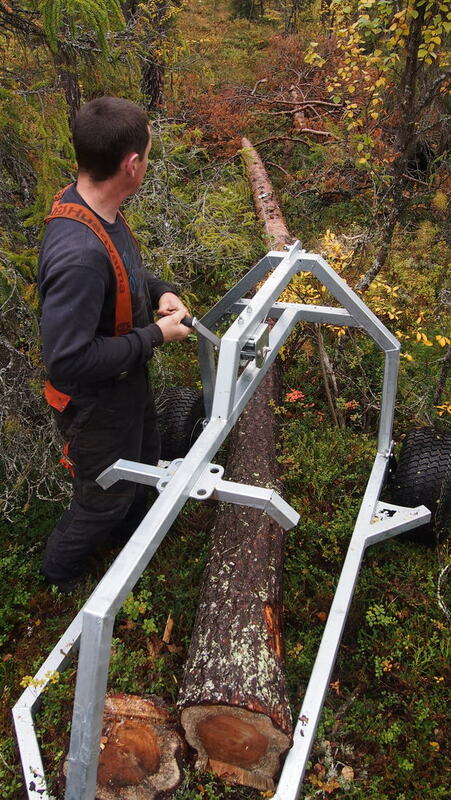 There are sturdy attachment points on the back and front so that you can attach chains or straps to secure the log if required. 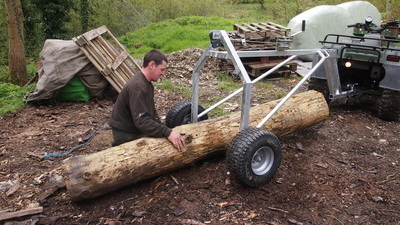 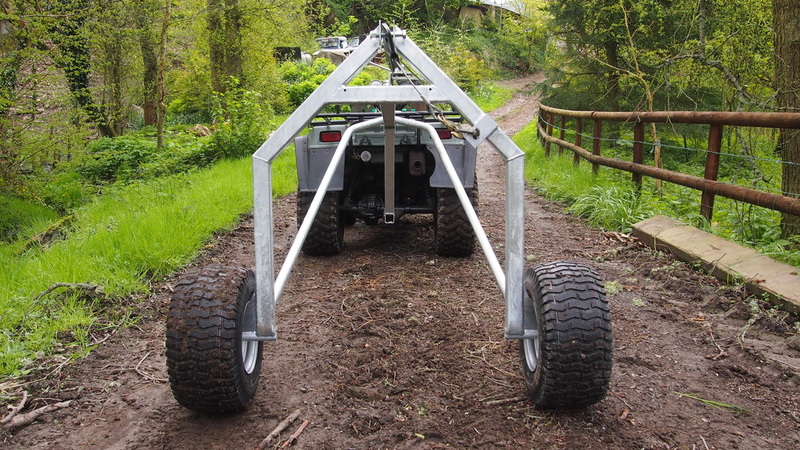 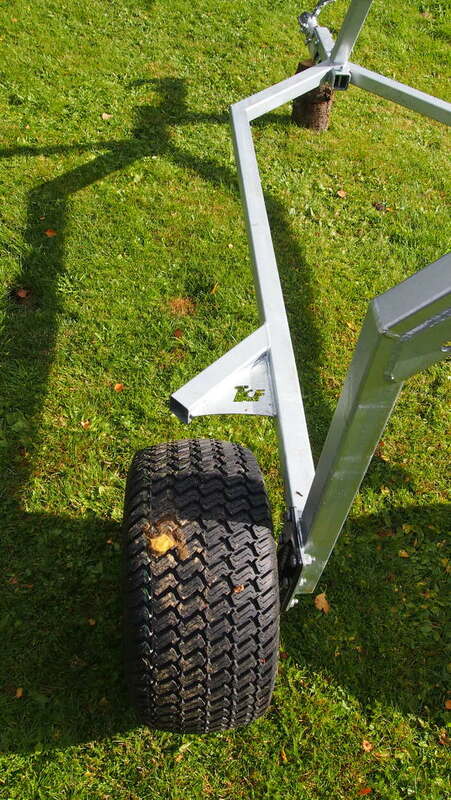 Our large log arches use a 4 stud wheel/tyre making it easy to remove wheels for transport or repair. 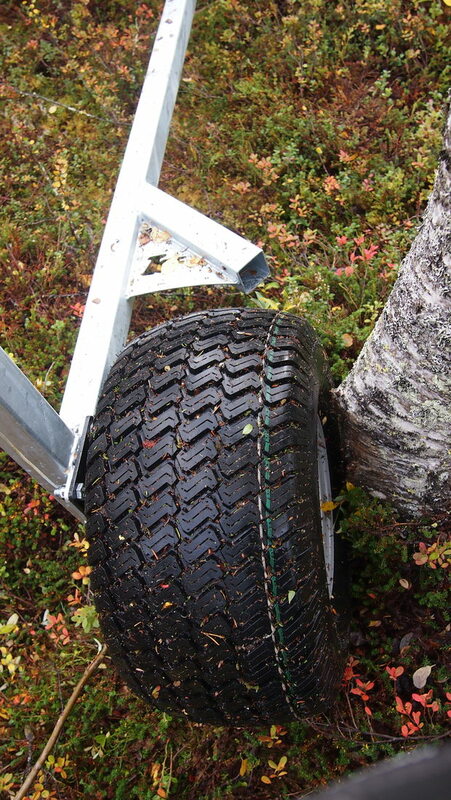 Our wheels, tyres, axles and hitches are properly specced and rated for the job. 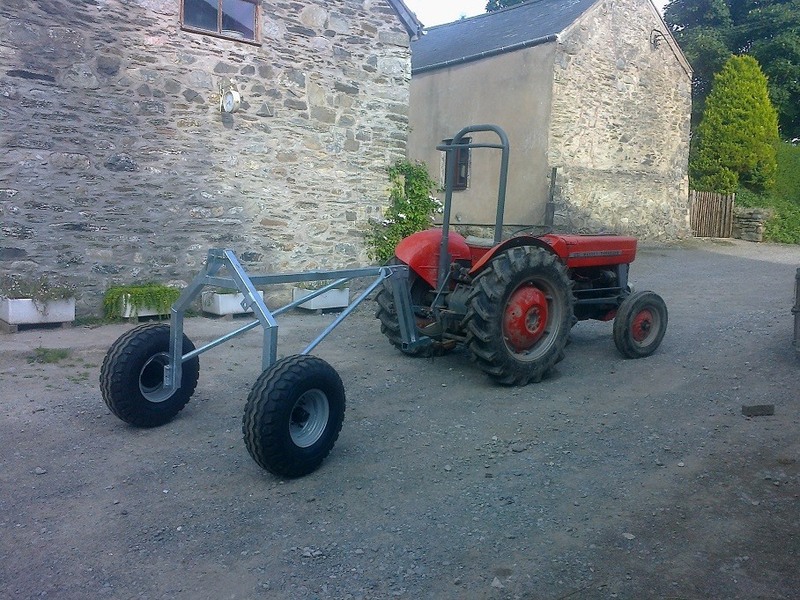 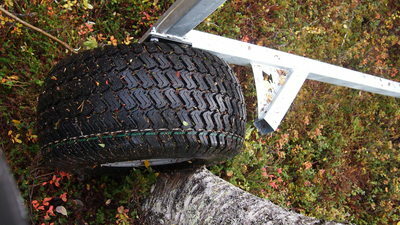 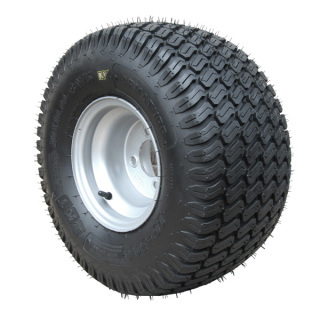 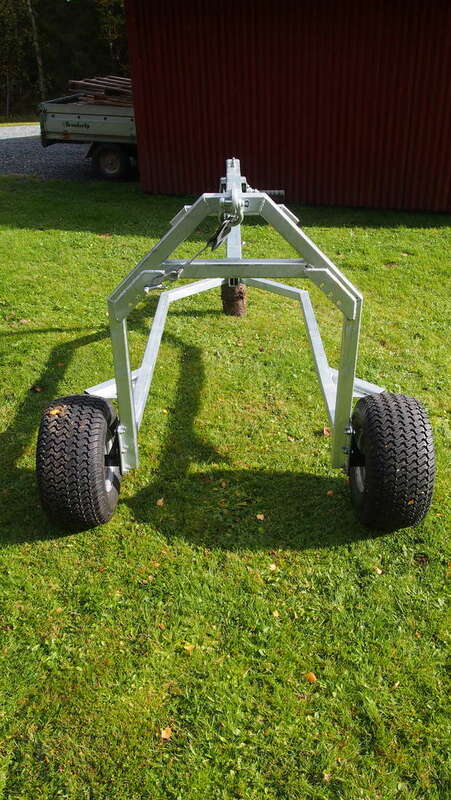 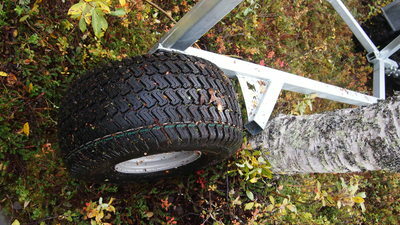 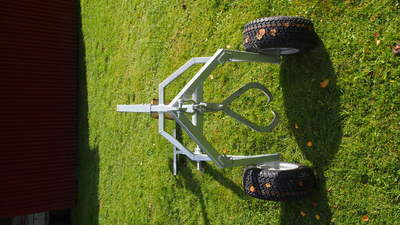 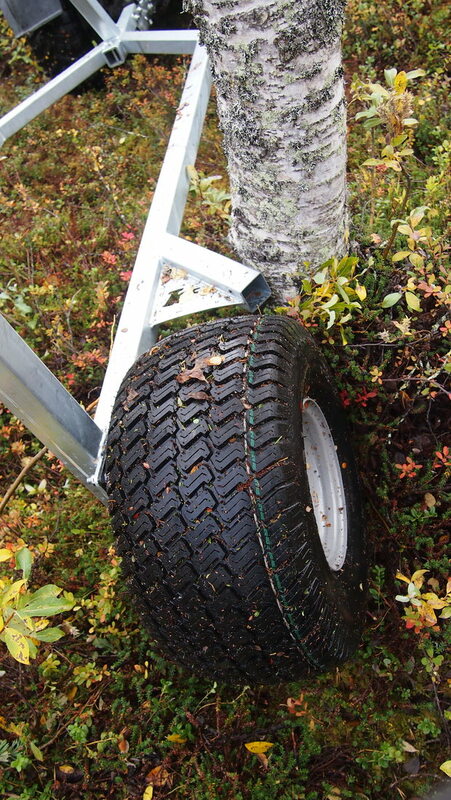 Many people use quad bike tyres for trailers, etc.... and they are only rated for 300-400kg. 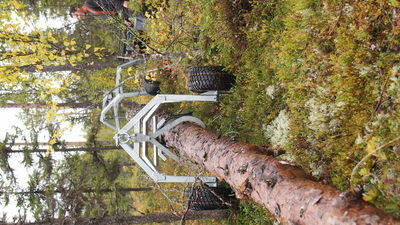 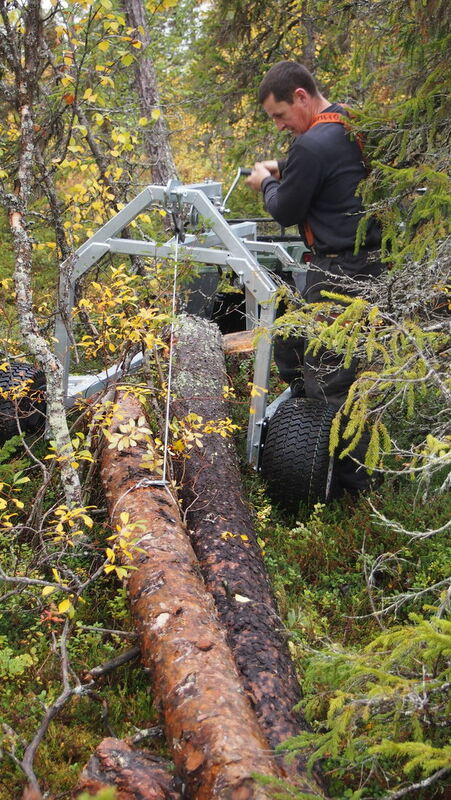 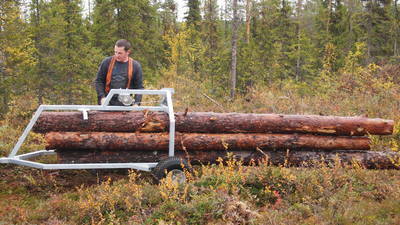 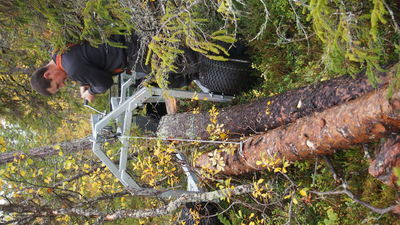 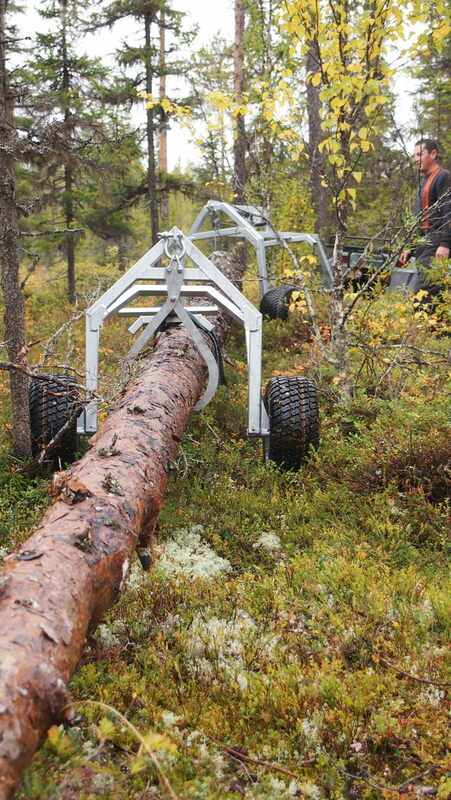 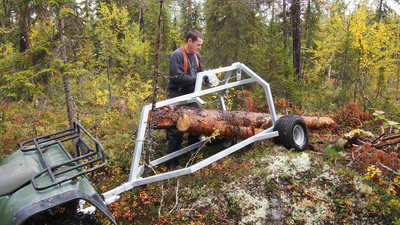 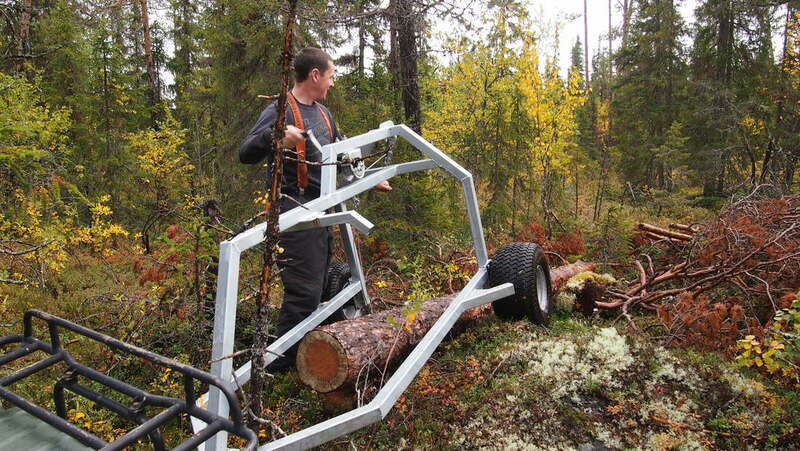 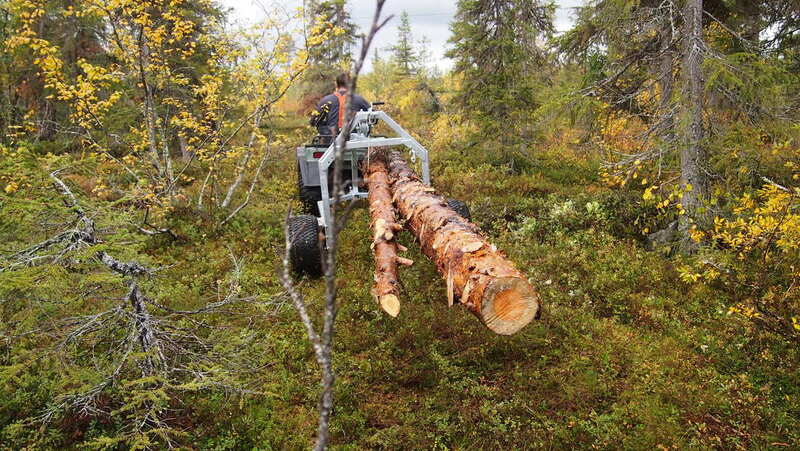 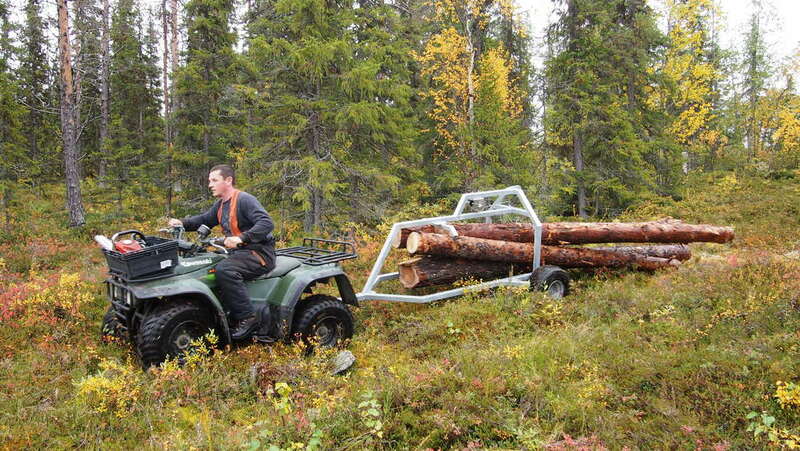 We can also supply the Log Arch with Kevlar tyres which are close to indestructable. 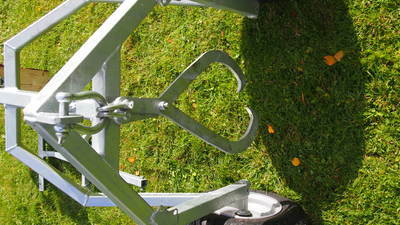 Both arches shown in the pictures have the optional swivel hitch fitted. They come with a pressed steel fixed 50mm coupling as standard.